When it comes to your family’s health, not all pharmacies are created equal; which is why this New Columbia pharmacy is here to serve you. To us, you’re not just another number – you’re our neighbor. 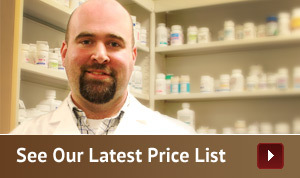 Our goal is to get to know you, your needs, and your pharmaceutical preferences. Unlike large chain pharmacies, we’re small enough that we can custom-tailor your experience so it meets your needs. 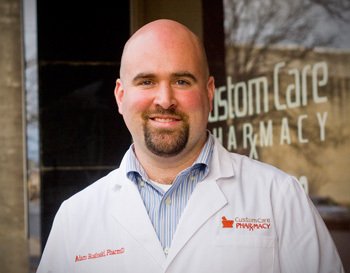 The team at Custom Care Pharmacy is led by owner Adam Rosinski, who holds a Doctor of Pharmacy degree from the Philadelphia College of Pharmacy. He has extensive experience in Geriatrics, General Medicine, and Cardiac Intensive Care. Owner Adam Rosinski understands the community he serves because he chooses to live and work here. Very early on, Adam learned firsthand about personal one-on-one customer service, and the need for being detail-oriented when fulfilling prescriptions. He takes the relationship between pharmacist and patient very seriously – every single day, with every prescription at this New Columbia pharmacy. After receiving his formal education, Adam worked for chain drug stores in Central PA for many years, but noticed that he didn’t have enough time to build ongoing relationships with his customers. And that’s why he decided to open this New Columbia Pharmacy – to put the needs of his patients first. Adam is an expert at knowing the details of medications and how they interact with one another, so he can keep a watchful eye on his patients. He is also familiar with both alternative therapies and natural remedies, as not every patient wants to treat their symptoms and ailments in the same way. For customers who may have a hard time driving to the New Columbia pharmacy, we offer free delivery; and curbside service for customers who have limited time to run their errands. We may be a small pharmacy, but we’re mighty. We accept most insurance plans and coverage, and our prices are always competitively priced. Once you walk in our doors and entrust your medications to us, we won’t let you down. And we’ll be here for you when you need us. We are open six days a week, Monday through Friday, 9 a.m. to 6 p.m. and Saturday, 9 a.m. to 2 p.m. We are closed on Sundays. Specialized packaging is an important part of Custom Care Pharmacy’s unique offerings. We are one of the only local pharmacies to offer Dispill blister packs. At Custom Care Pharmacy, we create and offer blister packs that clearly differentiate which medications should be taken when. Each blister pack clearly has the patient’s name on each package. They are created in 1-week supplies; four blister packs are typically dispensed so a patient has a one month supply. The packs are divided into morning, noon, evening and bedtime. The blister packs organize your own prescriptions to ensure that you take the correct medications at the correct time of the day. The system is very easy for our New Columbia pharmacy patients to understand, handle and use correctly. Just as importantly, it is tamper proof and spill proof. The blister packs can be accepted in long term care facilities, or can be used to help patients keep medications organized at home. This gives caregivers, friends and family members peace of mind that their loved one is taking the right medication, in the right dose, at the right time. In addition to blister packs, we also offer medisets. 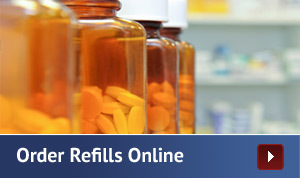 We can fill the medisets for you and deliver them weekly, biweekly, or monthly – whatever is easiest for you. We also offer free medication flavoring for both people and animals. Coming home after a surgical procedure or extended hospital stay is exciting for patients and their family members – but coming back home can also be a little overwhelming, too. While hospitals don’t quite feel like “home” they do offer safety and security. But fortunately, that same safety and security can be achieved in your home or apartment with the help of this New Columbia pharmacy.